One thing about pecan wood is the wondrous colors of it. This jar was turned from a branch that was originally about 8” in diameter. Besides being used as a candy or nut jar, you might put jewelry and other nice items in it. Personally I’d hide my own little stash of M&M’s in it. It will hold 2 cups of them and that’s a fair amount. The outside diameter is 5 ¼” with an inside lip diameter of 2 ¾”. The total height is 7” and the depth is 3”. Use it with total confidence as the wood was first sealed with food grade walnut oil and then finished with a walnut oil/shellac mixture very heavy on the shellac. I always mix a bit of oil in the shellac so it spreads and permeates the wood better. 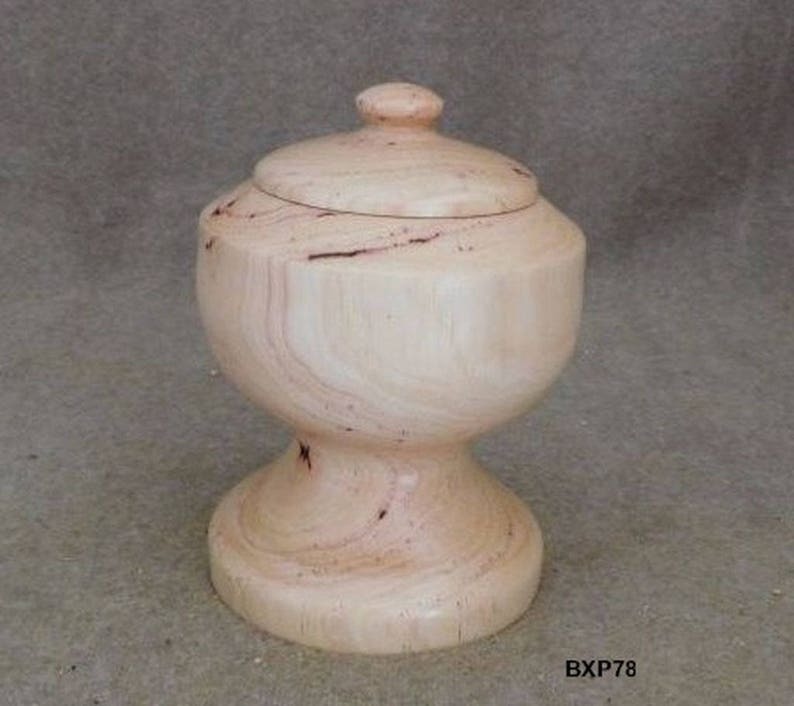 With a combination such as this the jar has a nice hard long lasting natural finish. 19Apr17 BXP78 Free shipping within Continental US only.